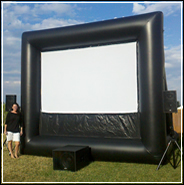 Great for Family movie night, Birthday parties, Pool “dive in” parties and smaller gatherings. We are happy to be one of only a few companies offering a smaller screen package for the budget conscience customer. Enjoy the Show! 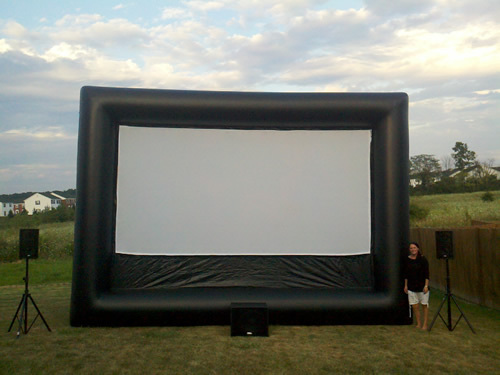 Our 12ftx9 Screen is our most popular Inflatable Movie Screen package. 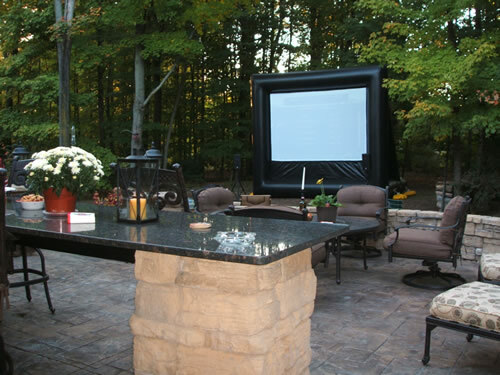 Perfect for the big Ohio State, Cleveland Browns, Cincinnati Bengal’s game or a grand Backyard movie night! 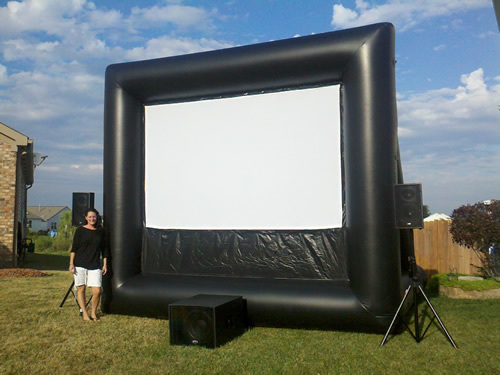 Go ahead, invite your neighbors its big enough! This package is built perfect for Video Game Parties! Don’t forget the Popcorn! 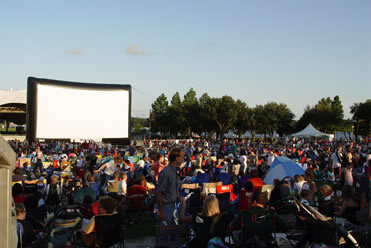 With a recommending viewing capacity of up to 250 this Screen will be the talk of the town! 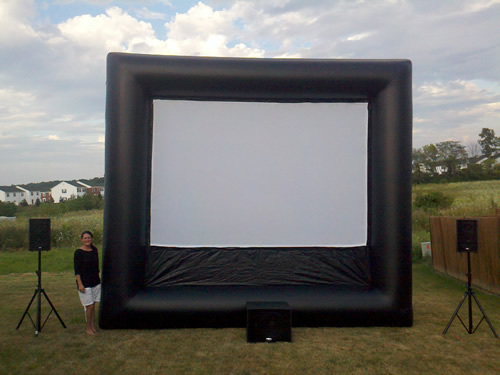 Great for indoor or outdoor school functions, smaller community events, large family reunions, grad parties, charity events or the ultimate backyard Movie night. Do not forget to reserve this package early, at this price we are one of the most affordable in Ohio! Give us a call, we will be happy to discuss your events needs. No problem! 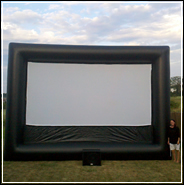 Because every large events needs are different please contact Buckeye Outdoor Cinema and one of our professional cinema experts will help you decide what the best options are for your event. 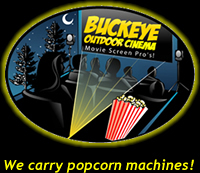 Some of the largest organizations in Ohio trust Buckeye Outdoor Cinema with their Outdoor Movie Screen rentals. 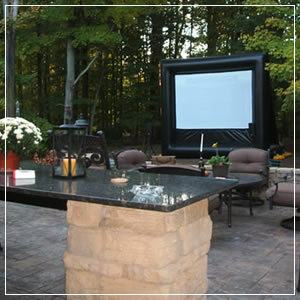 This full service outdoor movie screen sporting event package is one of our most popular. Imagine inviting all your friends and family over for that big Ohio State Buckeye Night game, UFC fight or Monday Night football! Leave the technical aspects to us and sit back and relax. Trust us you will be the talk of the neighborhood! 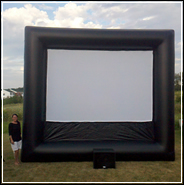 The picture listed to the right is from an Ohio State Buckeyes game party from a customer of ours in Powell Ohio. They had a Blast! Note: Ohio State night games book very early. Reserve your package ASAP! 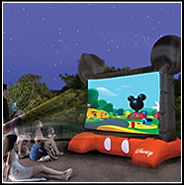 The kids will love watching their favorite Disney movie on this official licensed Inflatable screen! 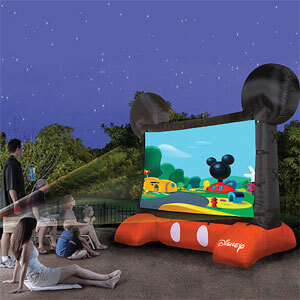 Perfect for the children’s birthday party or family movie night. Great for Wii! 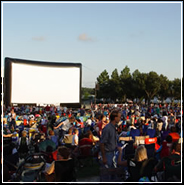 Add a popcorn machine to make it a night to remember!